Growing up, did you set the table for dinner at your house? We did at ours. The best and biggest honor was when we were given the privilege of lighting the candles. Some things never change. Whenever we reckoned the number of people who would be gathering together to share our tables, each time we pulled out the carefully counted plates, knives, forks, glasses, napkins, and spoons and set them at their places, and every time we poured the water (and later, the wine), it was as if we were conjuring some deep and abiding magic. Because we were, and we are. While we are firm believers in the transformative power of every table, no matter how humble, there is an undeniable pleasure in setting your table with pieces you truly love. 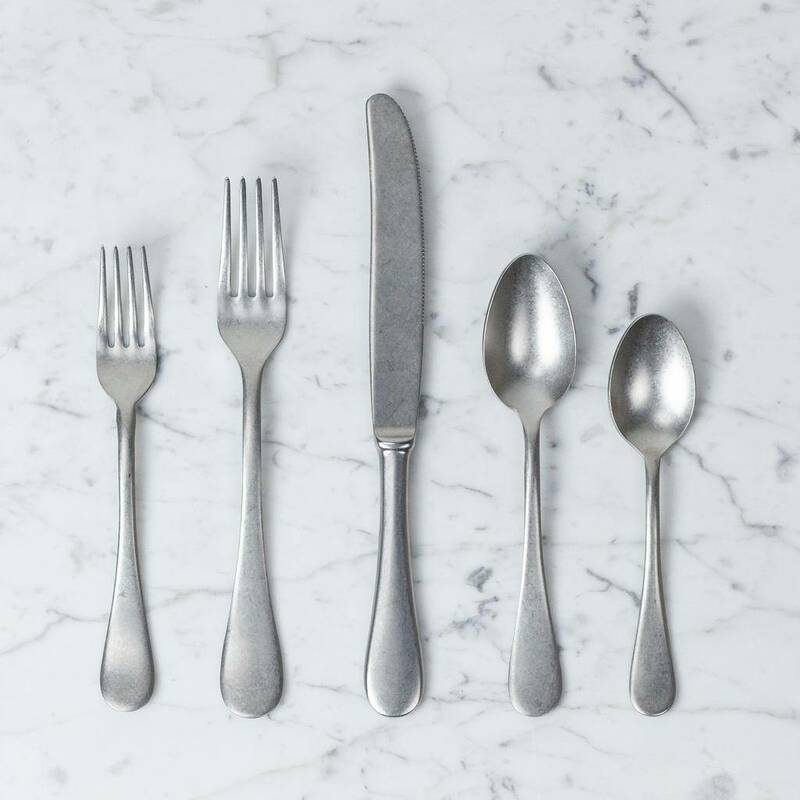 For us that means the gorgeous, heirloom-quality place settings from the iconic Italian flatware line Mepra. After all, nobody knows the magic and power of bringing people together over food more than the Italians*. 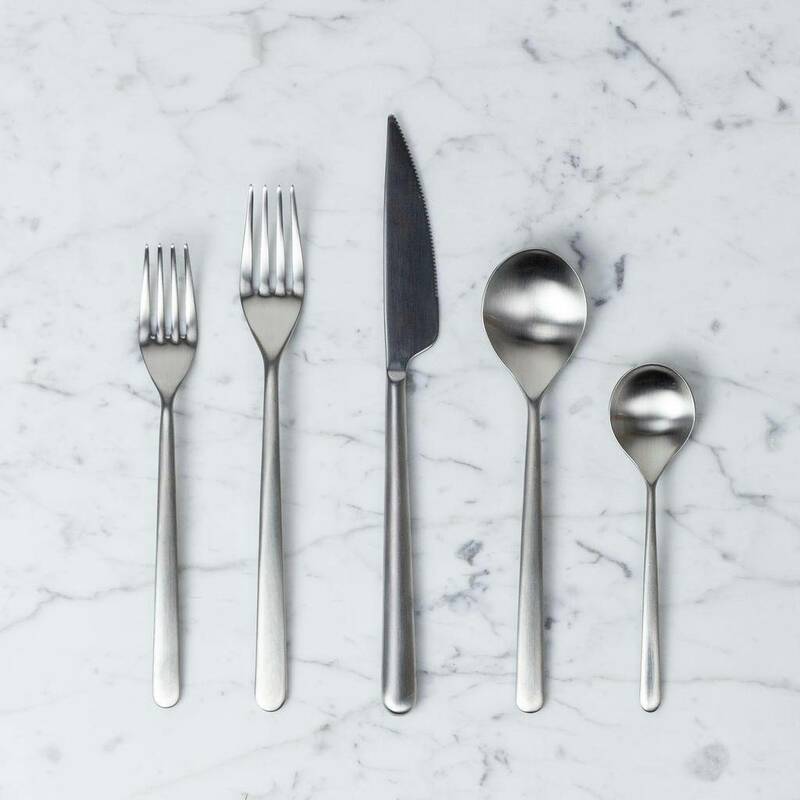 Made in Lumezzana, Italy, for generations, these impeccably crafted, perfectly weighted, and flawlessly finished utensils instantly elevate weeknight dinners to special-occasion-status, no matter what you're serving or how many are sitting down to dine. 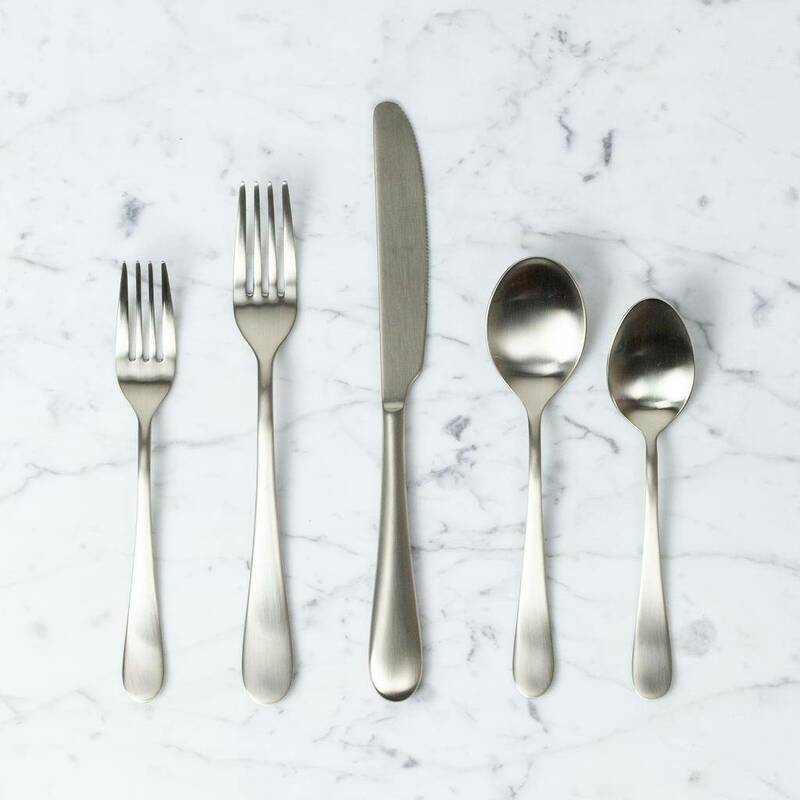 And, since beauty is NOT JUST in the eye of the beholder but ALSO in the hands of the person cleaning up afterwards: all of the classic finishes are 18/10 stainless steel...which also means that these friends can party all night in the dishwasher. How easy is that? Visiting a childhood friend at her grandmother's house a season back, we noticed that this extremely elegant grand dame had a simple, small, hand-drawn table setting diagram tacked up in the back corner of her kitchen. This was the kind of woman who Entertained with a capital E. Who had multiple china patterns and infinite gravy boats, who taught us the importance of polishing silver (if you're going to have it), and always set an impeccable table, whether for two or fifty. We were struck then, as we are now, of the simple and sweet utility of this and thought that such a thing wouldn't go amiss in our own kitchens. 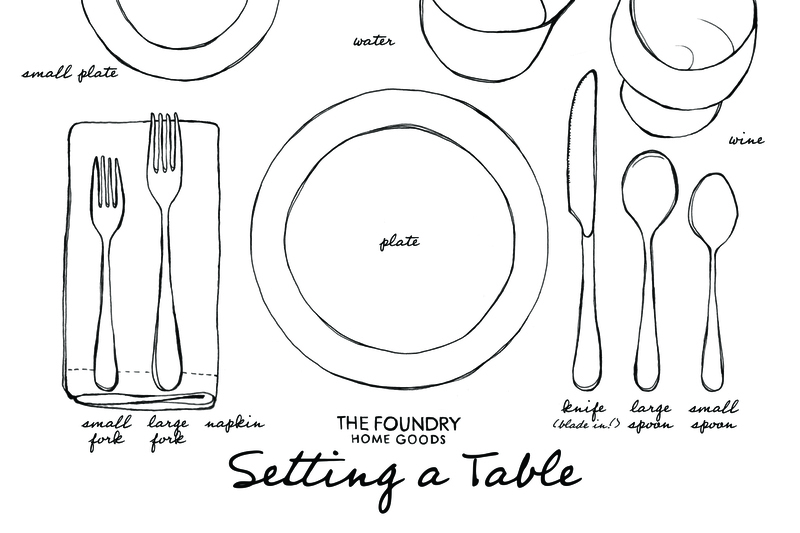 So, for all seasons of bounty and abundance, for the abiding grace of opening heart and home to break bread with loved ones, here's our very own little Foundry Table Setting Guide. Keep it tucked in your pantry or stuck on your fridge, share it with little ones just learning the way of ritual or humans of any age who might be grateful for a nudge in the right direction. Want a hard copy? Stop by the shop and pick one up! *After all, Italians invented the fork (curious? read this!). **a note on "etiquette": while there are many (many!) ways to set a table, varying from time of day to hosting continent, from what's being to served to who's serving it, this is our take on the simple "informal" settings we were raised with and which we find to be the most useful for our daily bread(plate). We'd love to hear any other considerations, tips, or traditions (comment! ), but we firmly believe that there's actually no real way to do it "wrong". Shame has no place at a well-set table. ***In typical Foundry fashion, we tend to err on the side of understated when it comes to finishes—e.g. the traditional matte silver, the "ice champagne" (which to us reads like the perfect color of well-maintained vintage silver in the best possible way—with no curlicues), or the stealthy black nero or ice oro nero. That being said, Mepra ALSO makes these lines in luxe, high-gloss gold, luscious rose gold, or even an amazing, psychadelic oil-slick rainbow (! ), to name a few. Get in touch for more info, we'd be happy to place a custom order for you if you'd like to go bold. Please invite us over for dinner! Hi Shelley... love to have the opinion of a fancy-restaurant-veteran from both sides of the plate! We tend to gravitate towards this set-up generally as it simplifies things across whatever the dinner might bring—will dinner be served buffet style? will there be a salad on the table already? is your table technically too small to seat 10 but what the heck, let's squeeze? will we be eating dessert first (life's short)? ?—as well as being the simplest for the vagaries of teaching kiddoes but that is totally an excellent point about the guest having to move the silver to get to the napkin! Noted for our next elegant affair. Cheers to many beautiful dinners and lovingly set tables! Hi , worked & ate in fancy restaurants all my life. 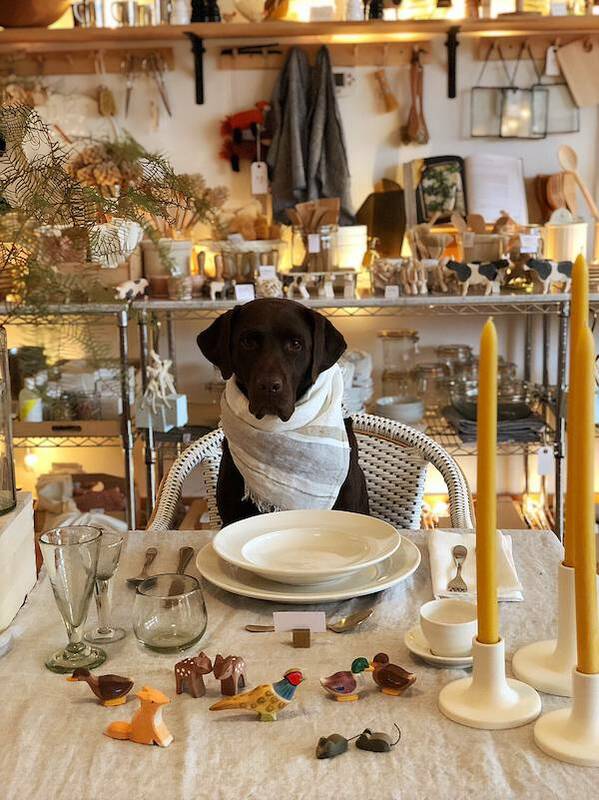 Your table set is pretty good. Here what’s better. So if little fork & Spoon are for dessert they should be above plate. Water glass I’d always above knife. Bread plate & knife good where you have it. Or to the side of fork. Napkin can be folded on dinner plate. It’s the first thing your guest will do.